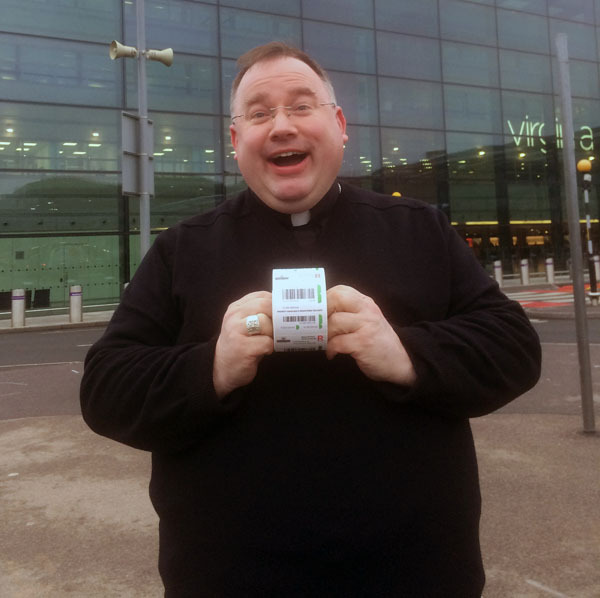 News from St Mary's and St Joseph's churches, include their priests and special services. 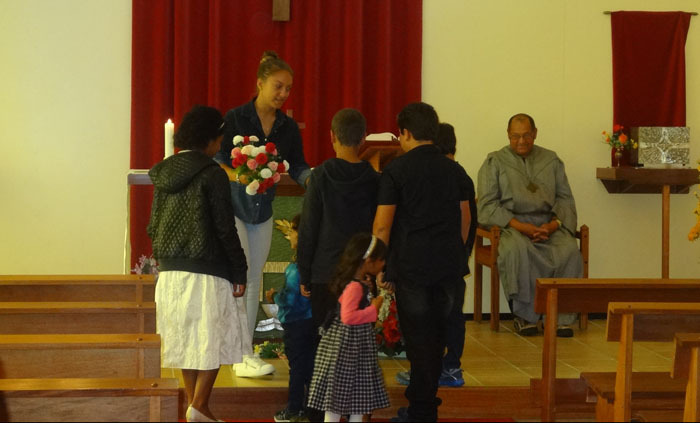 Tristan's Catholic congregation celebrated Mothers' Day at St Joseph's Church on 31st March 2019. 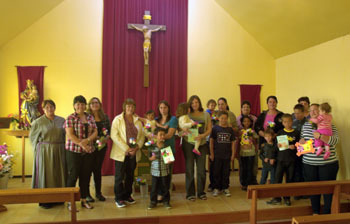 The children made cards for their mothers and gave them flowers. 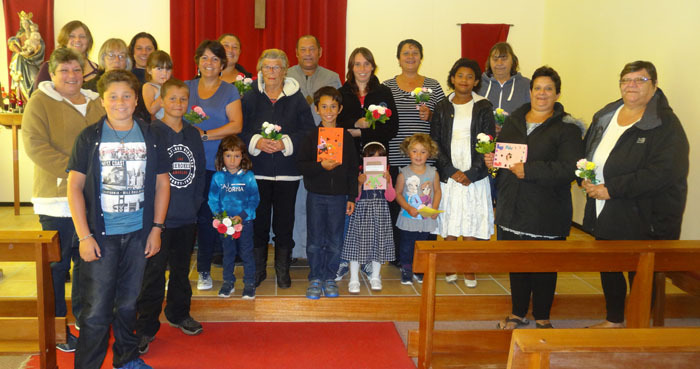 All grannies and aunties in the congregation also received flowers. Group photo of the children, mothers, grannies and aunties with Dereck Rogers, who took the service. 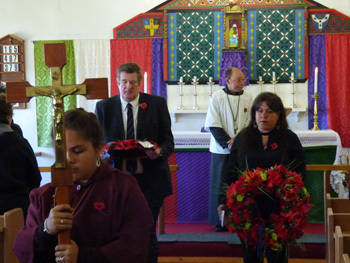 On Sunday 11th November 2018 at St Mary's Anglican Church, all those lost in battle were remembered. Each year the two churches alternate the service and both congregations come together as one to remember those fallen. The service was well attended with the Administrator, Sean Burns, and Acting Chief Islander, Paula Swain, placing their wreaths at the altar, and Chantelle Repetto reading a letter from Pope to the young people. 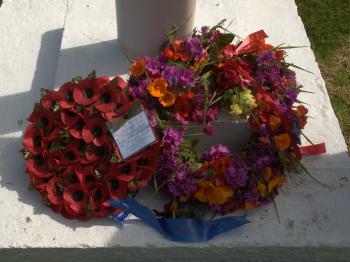 After the church service, the wreaths were then carried to the Prince Philip Hall, where the Acting Chief Islander read the poem 'In Flanders Fields' by John McCrae, and the Administrator read 'Do not stand at my grave and weep' by Mary Elizabeth Frye. 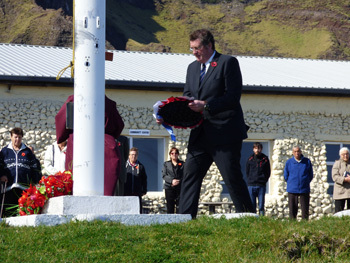 The wreaths were then laid at the foot of the flagpole, and the Lay Minister concluded the service. Chantelle reading the Pope's letter to the young people. 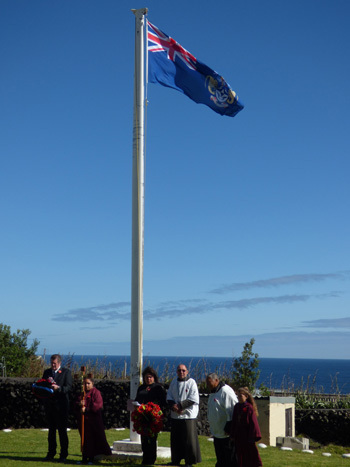 The congregation conclude the service at the flagpole outside Prince Philip Hall. 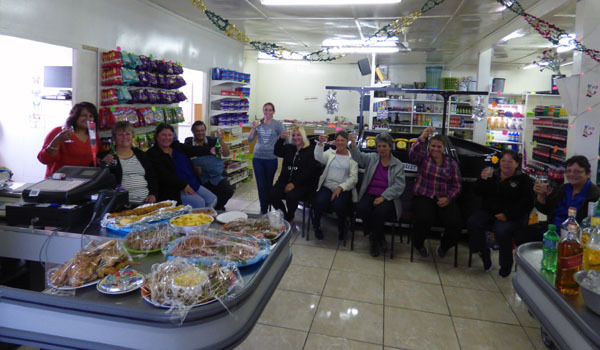 Combined Harvest Festivals and Mother's Day services wer held in Tristan churches on 11th March 2018. Fr. 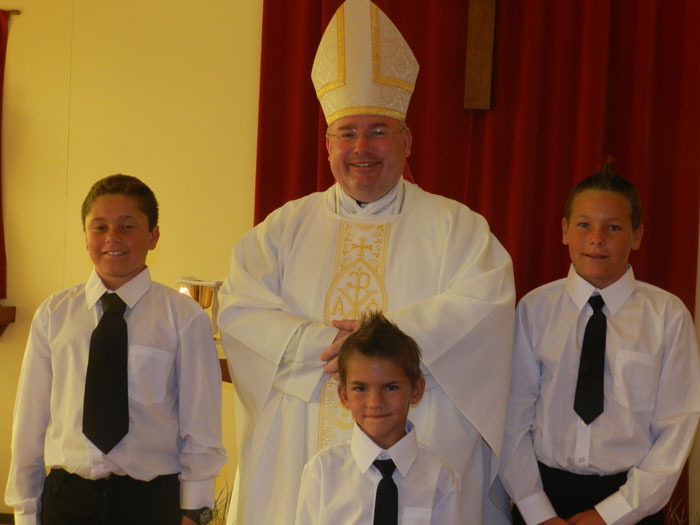 Abbot Hugh Allen celebrated important rites in St Joseph's church during his 2018 visit to his flock on Tristan. 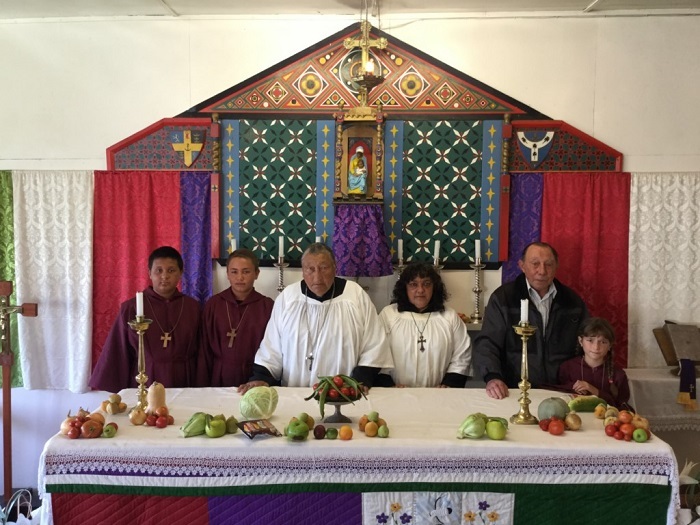 First visit to Tristan's Roman Catholic community for Superior of the Mission to the South Atlantic Islands. 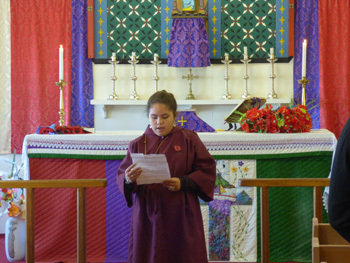 The 2017 Tristan Remembrance Sunday Service was held at St Joseph's Catholic Church and conducted by Eucharistic Ministers Anne Green and Dereck Rogers. A combined Harvest Festival and Mothering Sunday service was held in St Mary's Church on 26th March 2017. 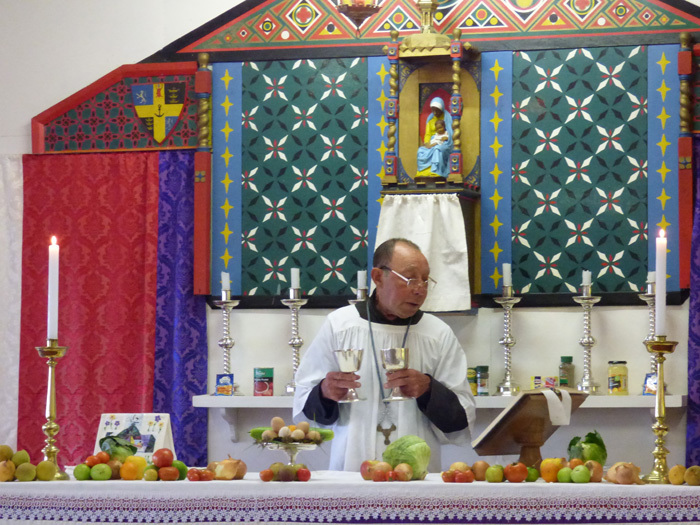 The Harvest Festival and Mothering Sunday Services were held at St Joseph's Church during March 2017.